Weekly photo challenge: Everyday life. In Alaska, everyday life is a rather subjective term. Sure there are things done every day: eating, conversing and work. Then there are the things that are everyday life dependent on season. In winter skiing, outerwear, shoveling snow, even cars in the ditch are everyday life. In the summer biking, hiking, gardening and fishing are just a few everyday life sights. Not to say that these events can’t cross seasons, such as ice fishing or roller skiing. Here are my two photos of everyday life from summer in Alaska. Please click on the images to view full size. Fishing, farming and gardens are popular with the near 24-hour daylight received during Interior Alaska’s summer. 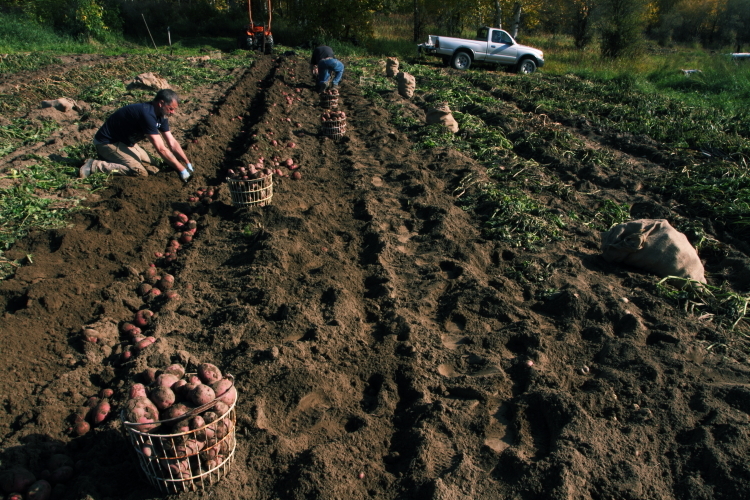 Digging potatoes in Fairbanks, September 12, 2012. 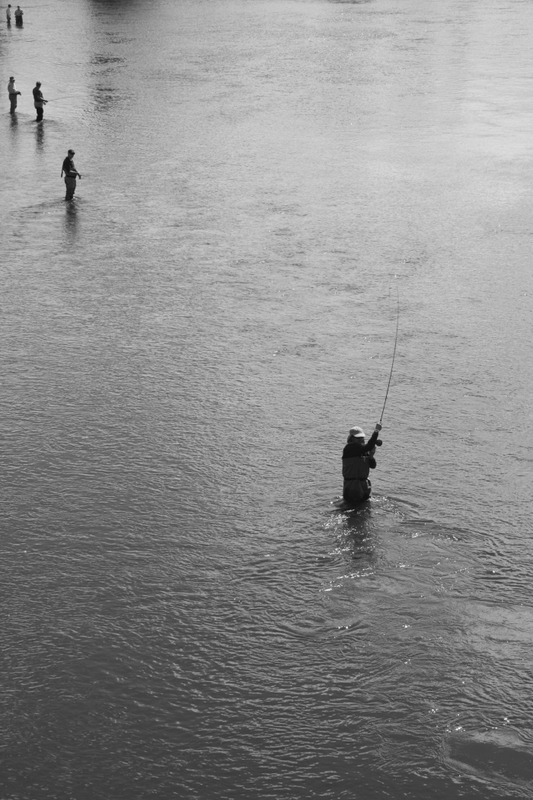 Fly fishing on the Chena River, downtown Fairbanks, June 16, 2012.